Information: This hardcover book contained an original "Battle of the Planets" story, that used some of the art from the American comics. 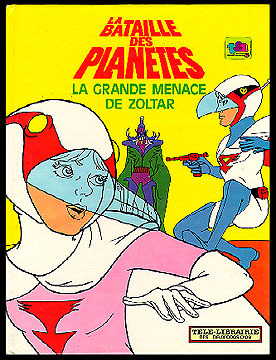 The cover showed the enemy as being Gel Sadra, from "Gatchaman II," but the actual story featured Zoltar. Gel Sadra didn't appear in any of the "Battle of the Planets" TV shows. Full-color.